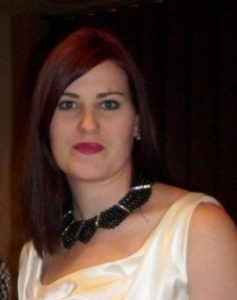 Carissa Ferguson is currently a Funding Specialist with Onager Solutions Inc. in Lindsay Ontario. Before working at Onager, Carissa worked for The Kawartha Region Arts and Heritage Centre in Bobcagyeon and Black Creek Pioneer Village in Toronto. With a passion for the non for profit sector Carissa has extensive experience in areas of fundraising, project management, and educational programming. She holds her Bachelor’s Degree in Anthropology from Trent University in Peterborough and holds a Post-Graduate Certificate in Culture and Heritage Site Management from Centennial College. Jessica Chase is currently the Co-Curator of the Fergie Jenkins Museum (FJM) in St. Catharines, Ontario, organizing and securing collections and acquisitions, as well as building operating and educational plans. 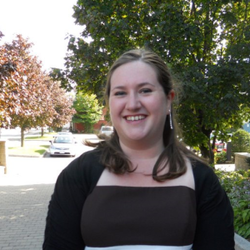 Before working at FJM, Jessica worked for the City of Toronto at Scarborough Museum as an Interpreter and Summer Camp Leader. During her time there, she worked extensively with both youth and adult volunteers and assisted the Curator in the design and execution of the Museum’s latest exhibits. She holds her Bachelor’s Degree in History from Trent University in Peterborough and holds a Post-Graduate Certificate in Culture and Heritage Site Management from Centennial College. 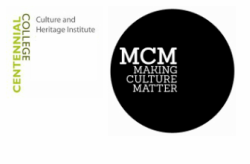 Jillian Buttenham is currently the Co-Curator of the Fergie Jenkins Museum (FJM) in St. Catharines, Ontario, planning special events and educational opportunities, as well as launching marketing strategies and digital and social media strategies. Before working at FJM, Jillian worked for the Ontario Heritage Trust for 2 years, supervising and running the day-to-day operations and events at The Barnum House Museum in Grafton, ON, a historic house and National Historic Site. She holds her Bachelor’s Degree in History from McMaster University in Hamilton and holds a Post-Graduate Certificate in Culture and Heritage Site Management from Centennial College. Katie Newman resides in Whitehorse, Yukon, where she is knee-deep in Northern arts and culture! Currently, she works at the Yukon Arts Centre Public Art Gallery, where she provides project management support as part of the organizing committee for the Canadian Museums Association’s 66th Annual National Conference, taking place in Whitehorse this spring. She also works as an administrator with the Yukon Historical & Museums Association. Previously, she has served as Project Officer at the Museum of Contemporary Canadian Art (MOCCA) in Toronto, where she helped to develop MOCCA’s well-received mobile app. Katie holds a Bachelor of Fine Arts in Photography Studies from Ryerson University, and a Post-Graduate Certificate in Culture and Heritage Site Management from Centennial College. Lindsey Van De Keere is currently Project Coordinator with the Foundation Assisting Canadian Talent on Recording (FACTOR) in Toronto, Ontario. FACTOR is a private non-profit organization dedicated to providing assistance toward the growth and development of the Canadian independent music industry. The foundation administers contributions from private radio broadcasters as well as two components of the Department of Canadian Heritage’s Canada Music Fund. Prior to FACTOR, Lindsey worked for the Parkdale Village Business Improvement Area as Assistant Coordinator, assisting in various civic projects as well as the creation and direction of various events and festivals within the Toronto community. She holds her Bachelor’s Degree in Anthropology from the University of Toronto and holds a Post-Graduate Certificate in Culture and Heritage Site Management from Centennial College. 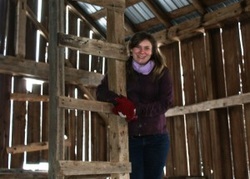 Stephanie Graham is currently involved with the Town of Richmond Hill’s Heritage Department. She is redesigning the Town’s event brochures as well as volunteering in their collections department. Furthermore, this is her second year as a member of Whitchurch-Stouffville’s Doors Open Committee. Before her involvement with Richmond Hill, Stephanie was an intern at the Whitchurch-Stouffville Museum where she worked on research for a social media strategy, event planning, and marketing for local events such as Doors Open. She holds her Bachelor’s Degree in History from the University of Guelph and holds a Post-Graduate Certificate in Culture and Heritage Site Management from Centennial College. In her free time, Stephanie has passions for travelling to Europe, competitive sports, quality films and British history.